I hear people say often: "I don't dance". I think it is sad. You don't have to be the best dancer to let loose and boogie down. I often think to myself. "yes you do dance, you just are afraid to do it when people are watching". If you are not about to hop on the dance floor to upbeat music, then slow dance with your love. If you can rock back and forth, you can enjoy a slow dance. Don't be afraid. It is romantic and brings you closer together. Romantic Tip: Slow dance to romantic music with your love. Now on to today's recipe. I was getting ready to make a healthy dinner of Salmon and Asparagus. Then the need for carbs came over me. 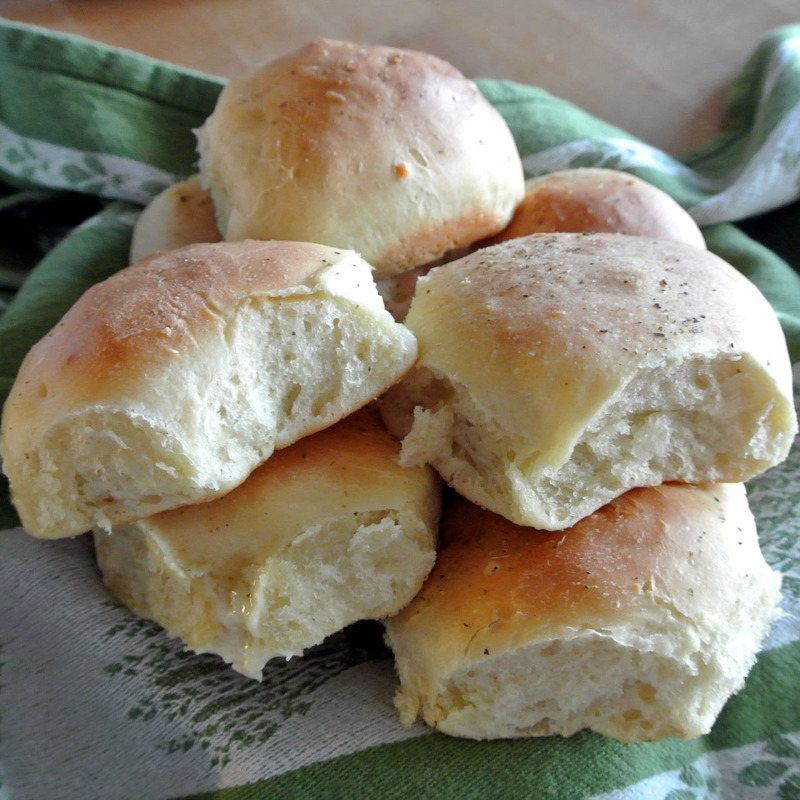 So I decided to make a quick batch of rolls. 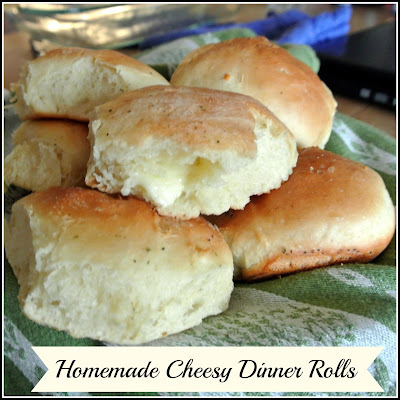 Wanting to make them a little more special, I filled them with cheese. They were great with the meal, and even better for sandwiches the next day. This recipe makes 12 but that is ok, because I used the leftovers for lunch the day after. Super good with turkey or ham. In a bowl of an electric mixer, combine water and yeast. Mix it together and let it stand until it blooms. It will take about five minutes. Meanwhile, in a separate bowl, whisk milk, butter, eggs, salt and sugar together until all incorporated. Add the egg mixture into the yeast mixture and whisk it together. Whisk in the flour one cut at a time. I whisked in the first 3-4 cups and then use the hook attachment on my mixer to mix in the remaining flour. Keep mixing until the all is combine. Take the dough out and knead it for a few second. 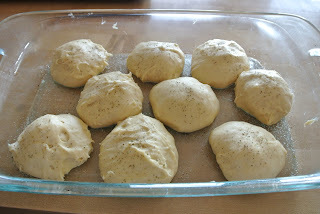 Grease a large bowl and place the dough in it. Cover the bowl with a saran wrap. Set aside in a warm place and let it rise for about an hour. 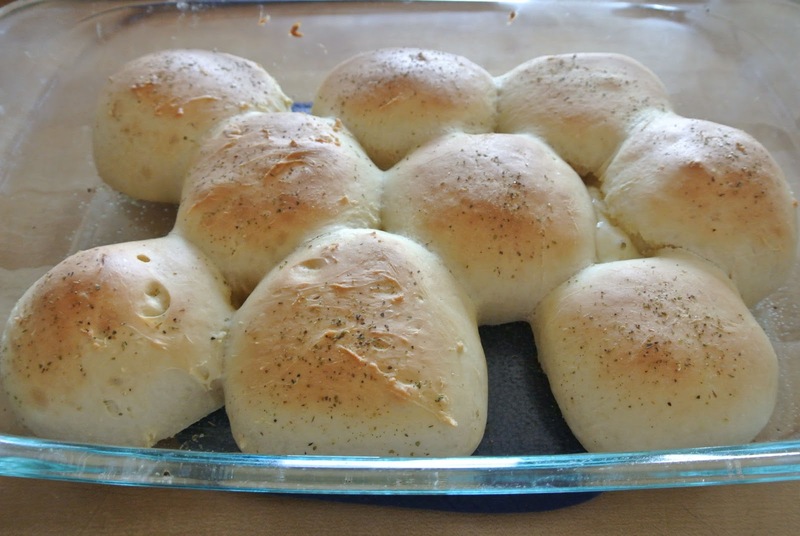 Take out the dough and roll it in a long roll, about 3 inches thick. Cut it in about 3/4 inch thick circles. Cut the cheese in 12 cubes. Place the cheese cube in the center of the dough circle. Bring the edges together and seal it up. Place the roll in a greased baking pan, seam down. Repeat with the remaining dough and cheese. Sprinkle with rosemary and coarse salt. The first time I had these I was in Brazil. Can't wait to try these! Thanks for sharing, I've looked everywhere for this recipe! What a great recipe! I am so excited to make like this. They really look delicious.